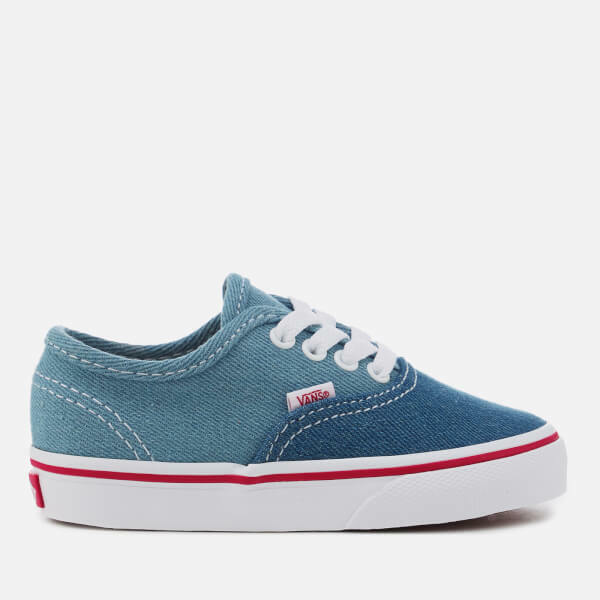 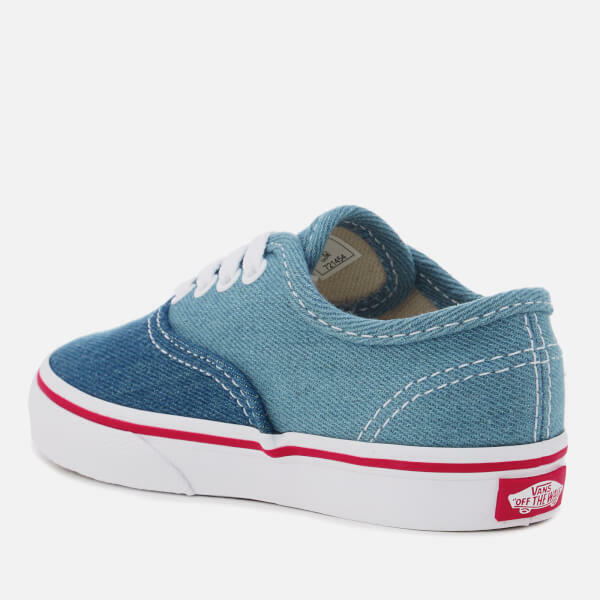 Toddlers’ two-tone denim ‘Authentic’ trainers from Vans. 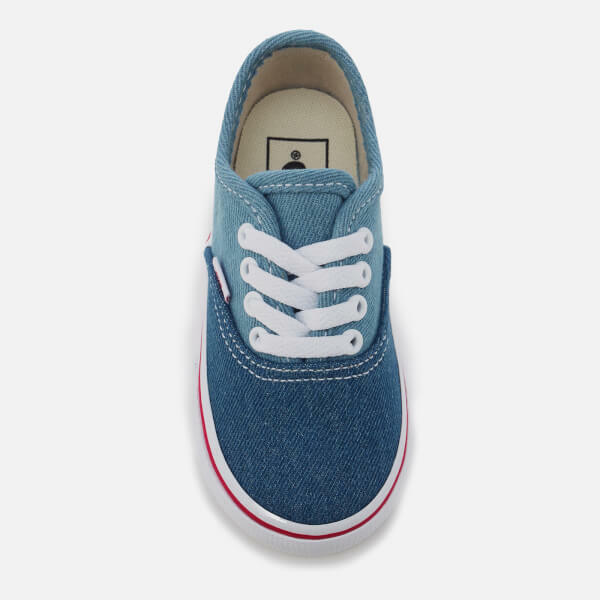 Crafted with soft, breathable textile, the blue low tops feature a round toe, a lace-up fastening and contrasting stitch detail. 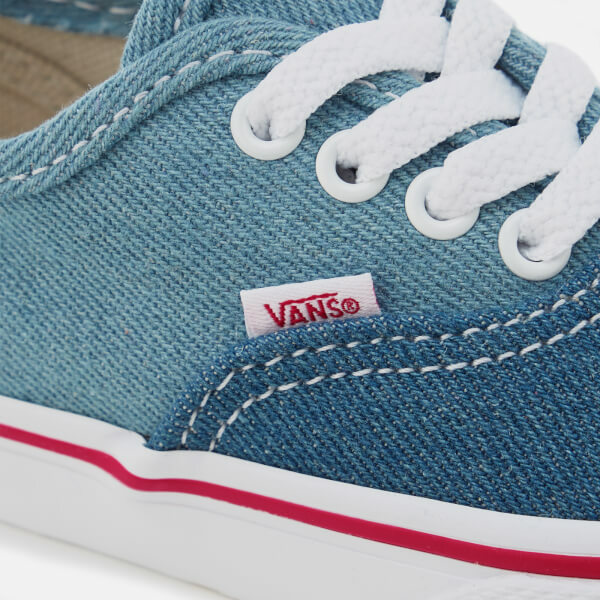 The shoes are set upon a white waffle sole and finished with iconic branding.